After waiting since 2013, the Visitor Center has a scheduled opening day. 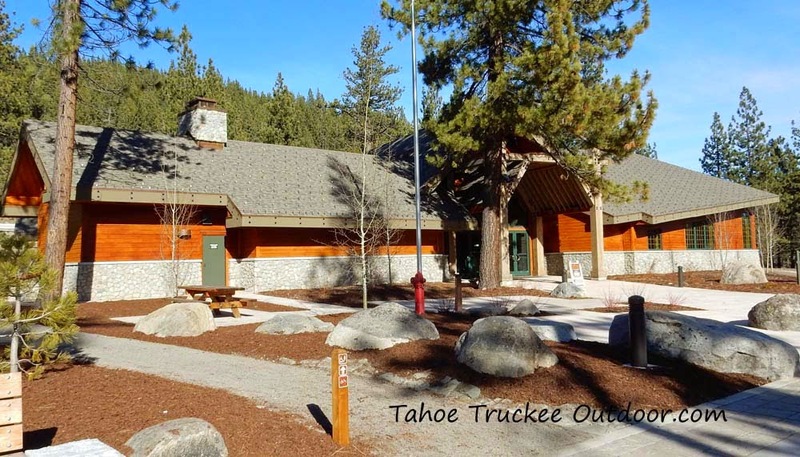 The new Donner Memorial State Park Visitor Center will open to the public on June 6, 2015. There will be a special ribbon cutting ceremony on opening day from 11:00am to 2:00pm. Visitors will enjoy free parking and free admission, as well as speeches by dignitaries. The new visitor center will replace the existing Emigrant Trail Museum, and will feature a state of the art facility with innovative and engaging programs and exhibits. The center will include a spacious museum store, featuring history keepsakes for visitors of all ages. All of the exhibits have not been finalized, but expect to see displays on early emigrants, the railroad, the Donner Party, and early vehicle travel over Donner Pass. The center will be open seven days a week, from 10:00am to 5:00pm.